KIEV, April 15. /TASS/. 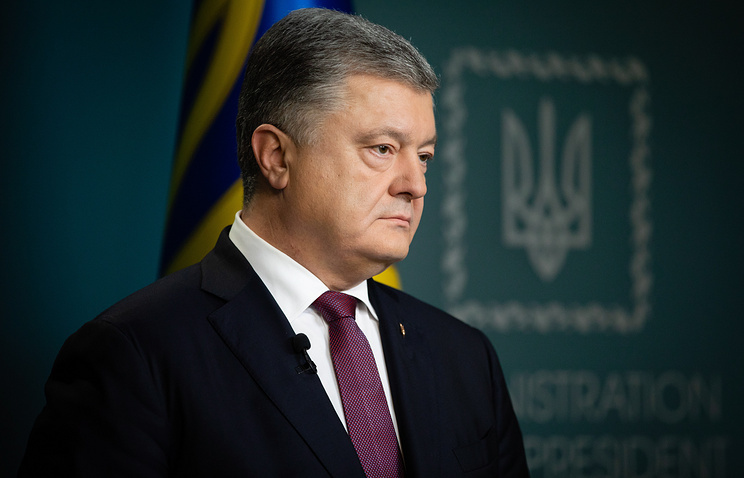 Billboards depicting the back of the head of incumbent Ukrainian President Pyotr Poroshenko and the words "The End" written next to it have surfaced across several Ukrainian cities, such as Dnepr, Kiev, Cherkasy, Kharkov, Odessa and Sumy. The billboards have imitated the style of the political ads manufactured earlier by Poroshenko’s election campaign team, and social media users shared the pictures of these posters on Monday. "The persons who placed these political ads in violation of Ukrainian law will face administrative legal action initiated against them," Spokesman for Ukraine’s National Police Yaroslav Trakalo told the Ukrainskaya Pravda newspaper, adding that municipal agencies will tear the billboards down as soon as possible. Poroshenko’s election team promptly said that they had nothing to do with this advertising campaign. 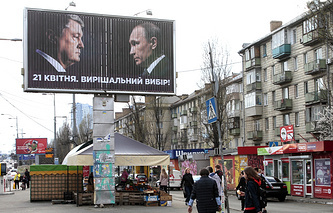 The Ukrainian Ministry of Information Policy’s main department head Vladimir Gorkovenko said that Poroshenko "is trying to be cautious about these things after billboards with [Vladimir] Putin" were lambasted by Ukrainian society.